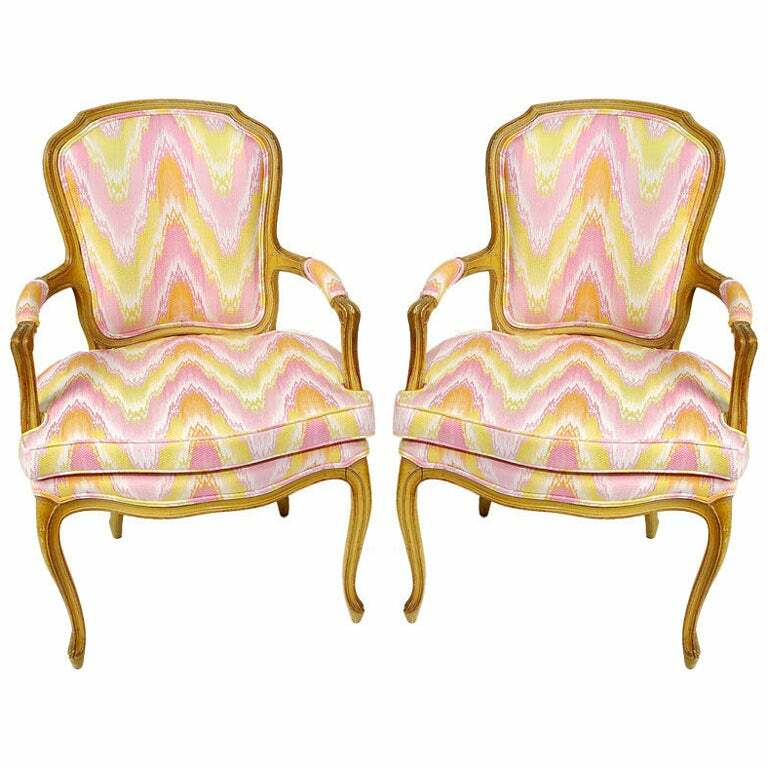 Pair 1940s Louis XV style open armchairs with original yellow and pink painted finish. 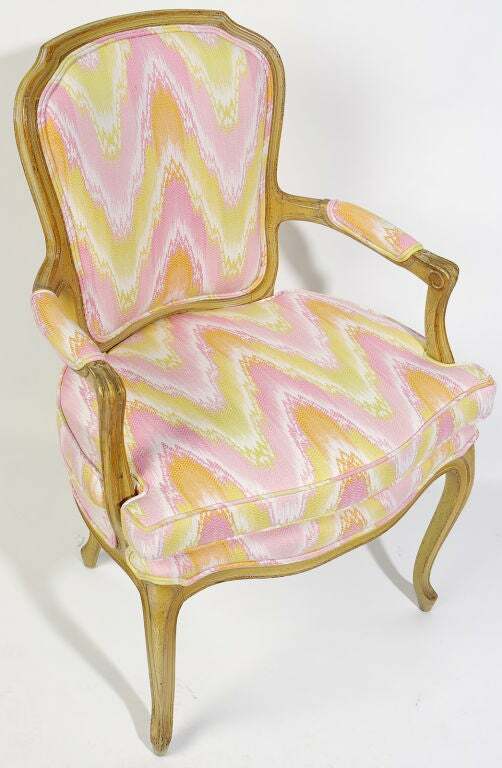 Newly upholstered in a vintage pink, yellow, white, and apricot flamestitch fabric. 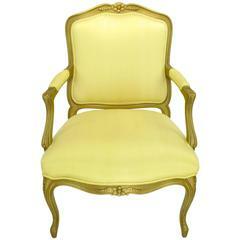 1940s giltwood Louis XV style armchair with saffron silk upholstery. 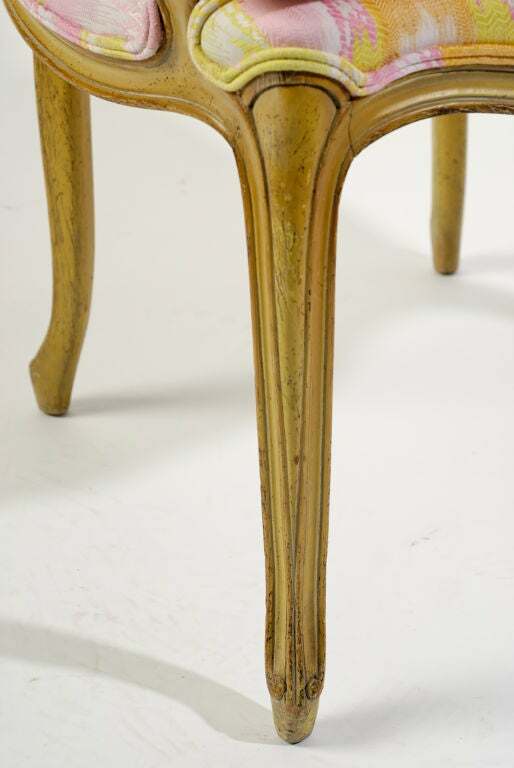 Carved wood frame has been restored and gilt with black glaze. Arm height is 24.5" with a back slope to 25.5". 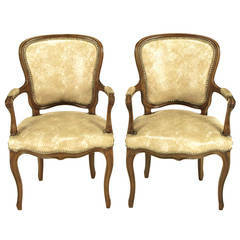 Pair of heavily carved Louis XV style armchairs on walnut frames with ivory and taupe simulated snakeskin upholstery with brass nail head detailing. 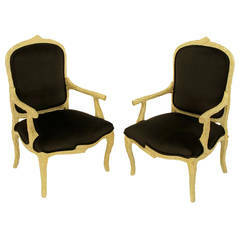 Pair of Louis XV inspired faux bois armchairs upholstered in new dark chocolate suede-like velvet. 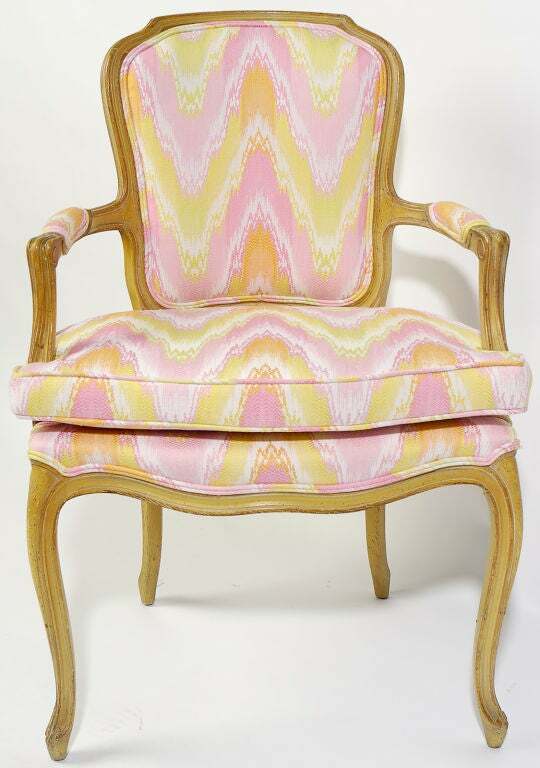 Hand-carved wood frames are finished in an ivory glaze. 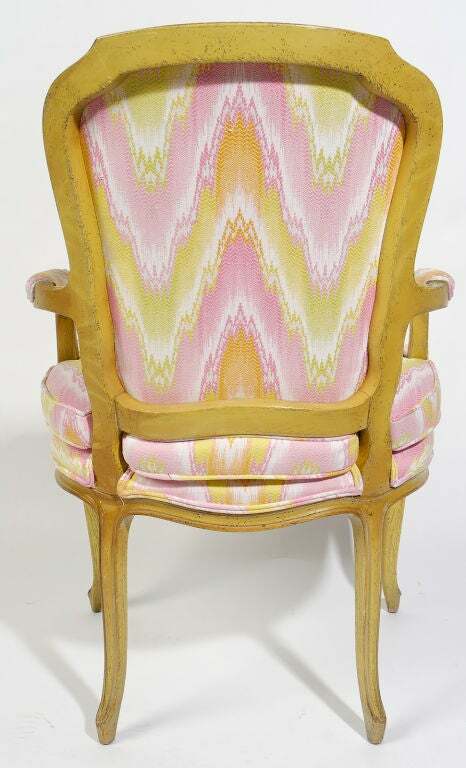 Cabriole front and back legs. 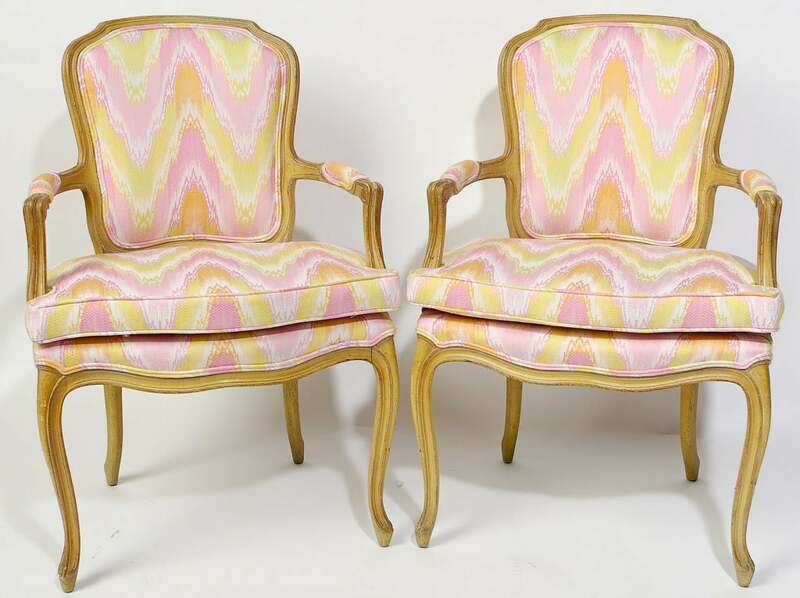 A pair of French upholstered Louis XV style fauteuils with brass nailhead trim, circa 1940. 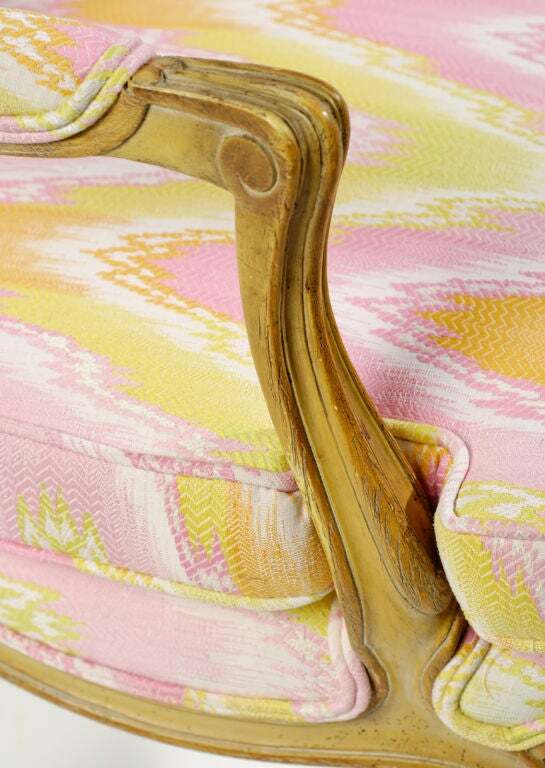 A pair of French Louis XV style fauteuils with a beautiful old painted finish and Aubusson tapestry upholstery. 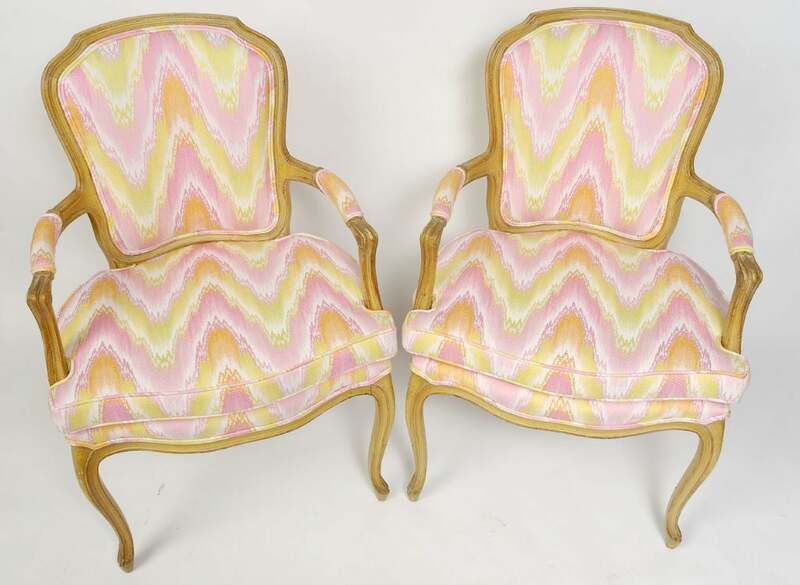 Pair of Louis XV Fauteuil armchairs. 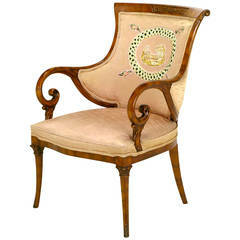 Carved fruitwood frame has been refinished. 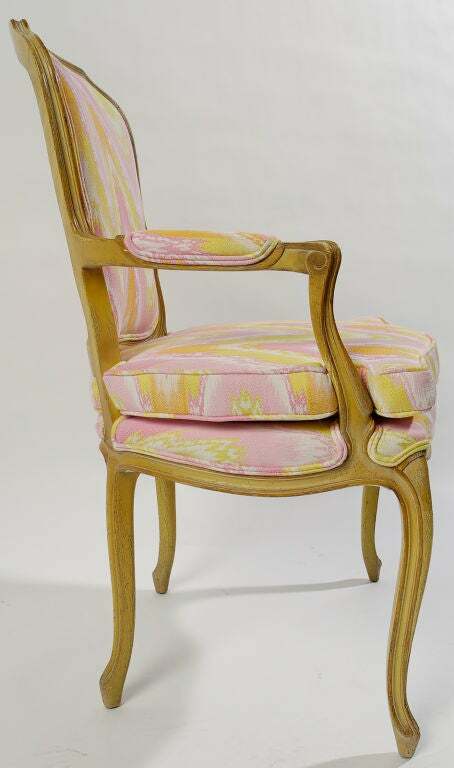 Newly upholstered in navy blue linen with bronze nailheads.